1. Xylitol selectively inhibits & eventually destroys cariogenic Streptococcus mutans (caries bacteria which form dental plaque and produce acid) in the entire oral cavity, i.e. xylitol fights tooth decay at its root. Mechanism of action: S. mutans lives on carbohydrates and will try to metabolise xylitol as well, unsuccessfully so, however, since xylitol inhibits an enzyme required for S. mutans’ sugar metabolism. In this manner, S. mutans bacteria will be unable to make use of sugars for energy generation even when there are accessible sugars (such as sucrose) simultaneously present in the mouth3. This means that S. mutans will eventually die due to lack of energy reserves. In other words, as long as the oral concentration of xylitol is high enough to “occupy” all the S. mutans bacteria colonizing the mouth, all of these will be killed off (at least eventually). Obviously, S. mutans bacteria thus hindered in their metabolic activity will be unable to produce dental plaque and acids, which leads to the major causative factors of both tooth decay and gingivitis. With its saliva-soluble consistency, xylitol also bathes the crevices between adjacent teeth (which constitute 40% of the total tooth surface area according to the German Stiftung Warentest magazine) and thus also reaches the bacteria nestled in those hard-to-reach places. 2. Xylitol sugar possesses a cleaning action which hasn’t been studied so far. Dentist Dr. Bruhn experienced xylitol powder as having a more powerful cleaning effect than any toothpaste (unless a person requires heavy abrasives to get their teeth clean, xylitol due to its solubility in saliva doesn’t have any abrasive effect by itself). For this reason, xylitol sugar can occasionally be used in lieu of other oral hygiene measures or be taken instead of toothpaste1. 3. 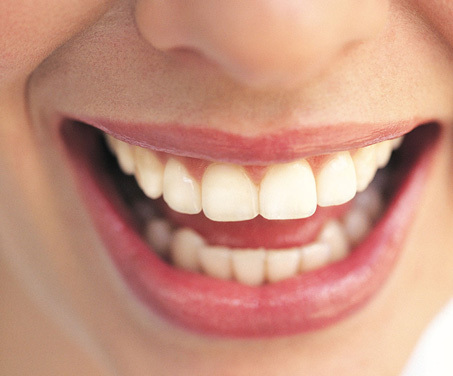 Xylitol simplifies successful dental care.